The Gate Smart Lock combines an HD security camera and intercom functionality into an all-in-one connected device that operates much like a Ring or Skybell smart video doorbell. 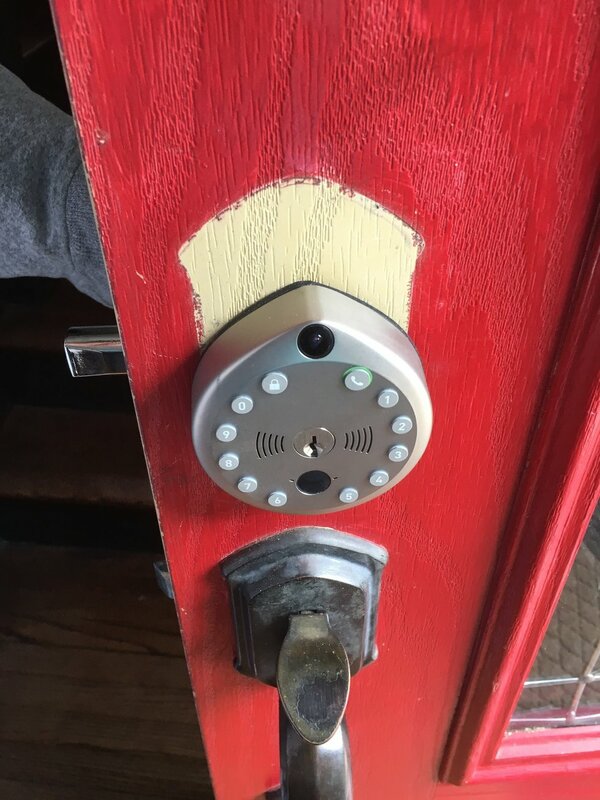 Real time video streaming lets you see who is at your doo, while the lock also supports remote access in case you want to open the door for visitors. The Gate Smart Lock also comes with a backup plan in case the device fails or loses power, with a standard key hole to open and lock the door. Gate sent GearBrain a lock to test and we were surprised how this new multi-functional smart lock performed. What is Gate Smart Lock? The Gate Smart Lock is a security camera, intercom and door lock all wrapped up in one connected device. Battery powered, like many smart locks today, this device is the first however that comes with a rechargeable battery and a USB cable. The Gate Smart Lock's batteries will last three months on a single charge and you can monitor their power through the Gate app. The lock connects to your home router through Wi-Fi wireless protocol, and you can control the device using the Gate app, uncommon with many smart locks. Normally, smart locks need to connect to a Wi-Fi Hub or through a Wi-Fi adapter to get remote Wi-Fi access. Using Gate's mobile app, which is available for iOS and Android devices, you set up your Wi-Fi connection directly to the lock to get remote access from anywhere, without needing a hub. The lock is well-built and nicely designed. 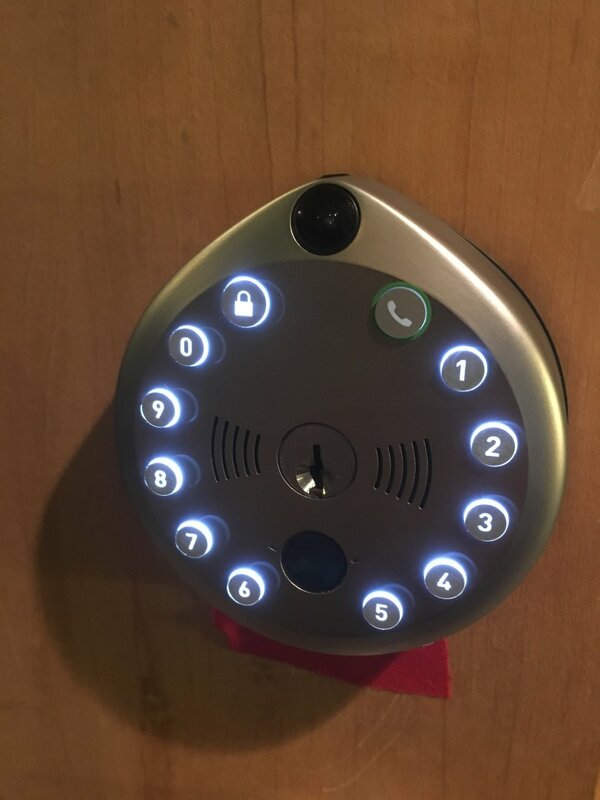 The face has push button keys that light up, a camera, a key hole for standard keys, a motion sensor, a microphone and speakers, which are used for two-way communication. You can speak to anyone at your door from anywhere, as you would with a video doorbell. The LED backlit keypad on the lock illuminates when motion is detected. When buying a smart lock, one of the most important things to do is make sure your door is compatible. Buyers of smart locks tend to forget to look at their door and size before buying one. Gate Smart Locks fit standard exterior doors which measure 1-inch by ¾-inches, as well as standard interior doors which are 1 ½ inches thick. Gate Smart Lock comes attached to a black block, which is 1 ¾ inches thick. 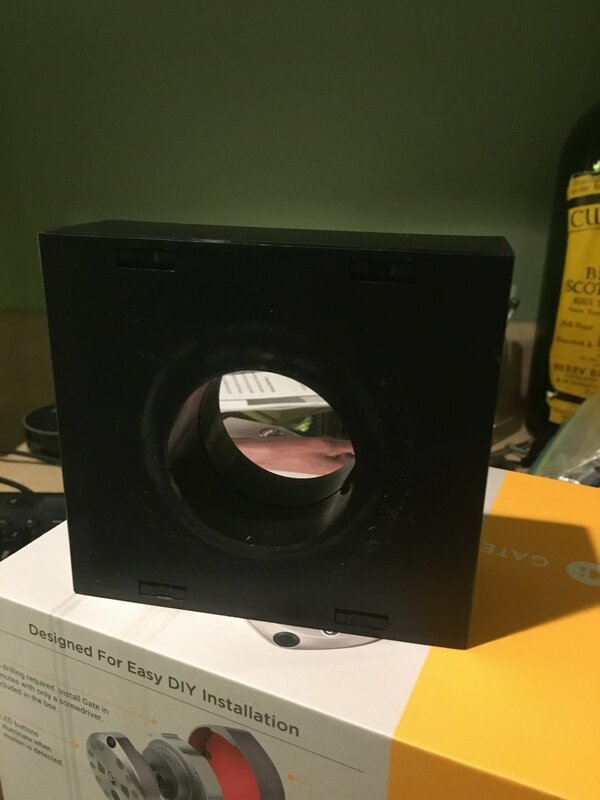 When you install the Gate Smart Lock, hold this black block up to your door and it will show you if your door is the correct thickness. If your door is slightly smaller than 1 ¾ inches, Gate provides spacers to help fit the lock to your door. The other important thing to consider is how easy the lock is to install, and Gate Smart Lock fits that requirement. Gate Smart Lock will work with combo locks, but you will need to buy a separate door handle. Gate is not compatible with Mortise locks. A nice feature of the lock is you don't need any tools to install it, as the device comes with the screwdriver you'll need. If you have a new door that requires drill holes for the lock, Gate does not provide any directions or dimensions to help with this. Instead, you'll have to contact the company's support people. Before installing, download the Gate app, and follow the instructions to unlock the Gate Smart Lock from the black block where it's attached. (We were surprised when we opened the box to find the lock already assembled.) The app will then walk you through connecting to your home Wi-Fi and operating the device. After you complete the setup and installation, you're going to want to set up all the features in the Gate app. The Gate Smart Lock has a security camera which helps detect motion outside your door. The camera has HD 720p video resolution and a field of view (FOV) of 150 degrees, which is very good, and better than the August Doorbell Cam (130 degree FOV) and slightly less than Ring Video Doorbell Pro (160 degree FOV). You can set motion sensitivity in the app, based on the distance you want to monitor. There are three settings: low (which detects motion up to 5 feet), Medium (detects motion up to 15 feet) and High (detects motion up to 30 feet.) The High motion sensitivity is the biggest field of coverage we have seen in a video doorbell or even in a Wi-Fi security camera. Motion detection sends a notification as well as someone pushing the phone icon on the Gate keypad, which will ring the doorbell. If this fails, and you're using an iPhone, go into the phone's settings, click on GATE and then Notification, which will let you turn on sound and allow notifications. Also, make sure your microphone is turned on, so you can hear doorbells ring and can speak to visitors. In the app, you can see someone at the door and can talk to them just as you would with a video doorbell. We found there was a slight delay during our tests, and while we could hear the person, the sound crackled a bit. This might be due to the Wi-Fi signal sent to your lock, and once we reconnected the lock to our router, the communication was much better. If you are not sure how good the Wi-Fi signal is at your door, Gate's app does have a way to check the Wi-Fi signal. In the Gate app, you can set notifications and connect to Wi-Fi, and also get information on your lock from configuration to software, access details, the lock's state, statistics on your battery and your subscription plan. Gate gives new users 30 days of video storage for free. After the first 30 days, user's can sign up for a $4.99 monthly subscription plan, which provides 30 days of unlimited videos and temporary access pin codes for guests. If you don't sign up for a subscription plan after the first 30 days, all the lock features will still work, but videos won't be stored. 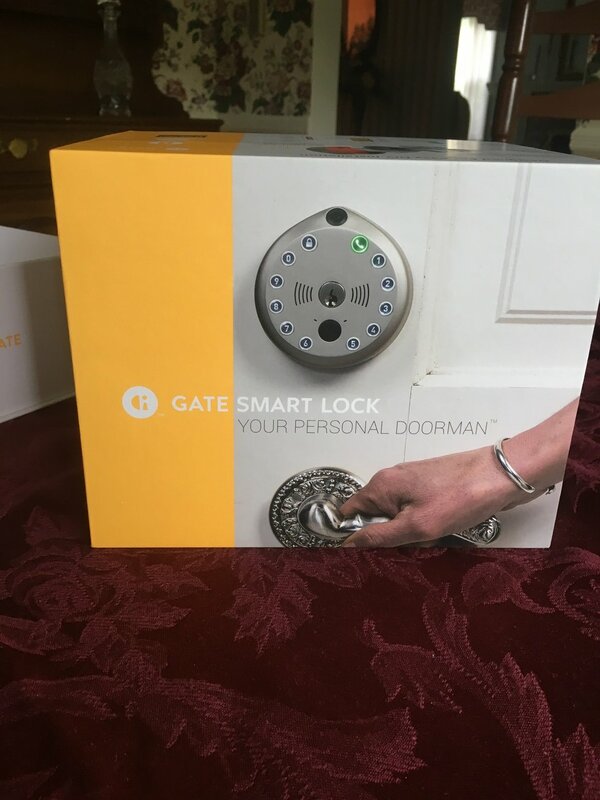 The Gate Smart Lock retails for $349 and is available on the company website. Most smart locks are priced between $150 to $280, which makes this device rather expensive. However, Gate Smart Lock can function like a smart video doorbell and a smart lock, which is interesting as many video doorbells have limited integrations with smart locks, and require you to go to another app to unlock the door. When you combine the cost of a smart lock and a video doorbell — along with the subscription plan for video storage which many video doorbells come with today for free — the Gate Smart Lock starts to look like a bargain. Gate Smart Lock is a multi-functional device that combines a video doorbell and smart lock to help you keep track of who is coming and going no matter where you are located. This new smart lock is perfect for home buyers, Airbnb and vacation home owners who want an easy-to-install smart lock, that also functions as a video doorbell. Small businesses can use this lock to secure their storefront or doors where deliveries or shipments come through. We think the lock would also work for parents who want to keep track of when their kids come home from school. We also like how the lock offers a back up plan, with a standard key entry, in case your lock loses power or it malfunctions. However, there are issues to consider. The camera offers exceptional FOV but the video resolution, at 720p, is just fair. We would have liked to have seen 1080p HD. Second, the 30 days of free video storage is good, and the unlimited video storage subscription plan is in line with what other video doorbell manufacturers are offering today ($5 per month), but most Wi-Fi security cameras or video doorbell manufacturers offer 1 to 7 days of free video storage. We would like to see more video subscription options instead of a "take it or leave it" type of plan. Another issue we had is you can't access the camera until motion is detected. Video doorbells usually provide live access to the camera. Gate does send alert notifications when the Gate Bell is rung or motion is detected. But if you wanted to see what's going on outside your door in real time, you can't with the Gate Smart Lock. We hope Gate will add this function to future versions. We think the biggest issue with the Gate Smart Lock is making sure you have a good Wi-Fi signal. The smart lock will not work as effectively if the Wi-Fi is weak. If your signal is weak , you will need to get Wi-Fi extenders which are an added cost. Also, if you have a screen or glass door, you will have issues with this smart lock. One, the camera and motion sensor will be blocked by the screen or glass door. Our test door had glass in front of it and the Gate Smart Lock camera was blocked from seeing anyone coming up the walkway. Once they opened the door, we could see the visitor but for some homeowners, this might be too late. Make sure you are planning on installing the smart lock on a door where the security camera will have a good view of the area you want to secure. Finally, the Gate Smart Lock has a lack of smart home integrations. 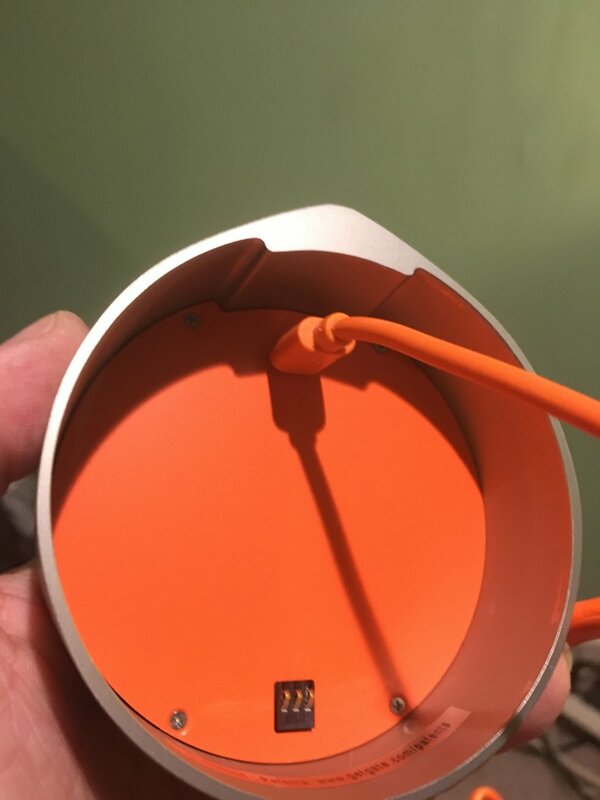 We understand the device is new to the market, and hasn't established links with other connected devices like Amazon Alexa or smart home platforms like Samsung SmartThings or Insteon. But we would like to see integrations in the home security category, whether it be with professionally monitored and installed companies like Vivint, or with DIY home security systems like Swann, Honeywell Home Security or Canary. 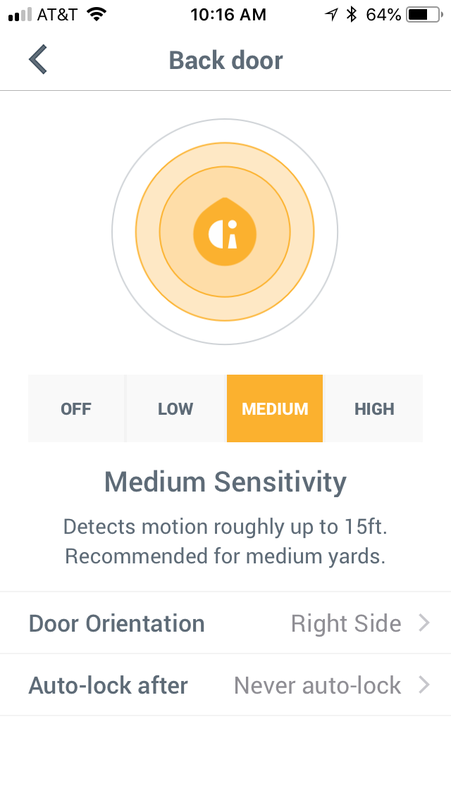 Overall, Gate Smart Lock has done a nice job of integrating the functions of a smart video doorbell, smart lock and standard door lock into one connected device for today's smart homeowner. If you need a smart lock — and already own a smart video doorbell — or want the lock to integrate with your other smart home devices, we would recommend waiting until Gate has established these integrations. However, if you are in the market for a smart lock and video doorbell, we would recommend you take a good look at Gate Smart Lock. It's a great value minus smart home integrations.